Award winning author Brinn Colenda captures the essence of international terrorism as Kurt Wallerein, feared, hated and hunted by every intelligence service and law enforcement agency in the West, forms a partnership with an embattled Fidel Castro. Their goal is to destabilize the democratic governments in South America--and the United States. 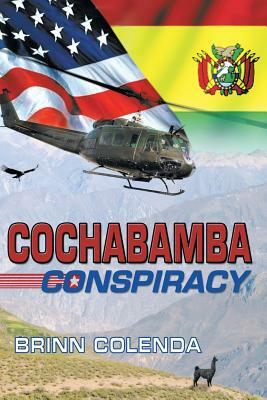 Lieutenant Colonel Tom Callahan, USAF and his compadres in the U.S. Military Group-Bolivia risk their lives and reputations battling enemies--foreign and domestic--in this exciting novel. "Colenda's thriller is a sensation. He owes me for the month's worth of adrenalin that I used up reading his book -- all without getting off the couch. And the scary part? The plot is all too plausible."